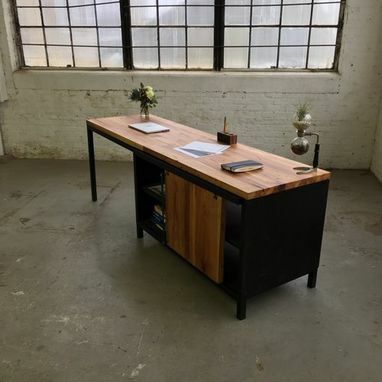 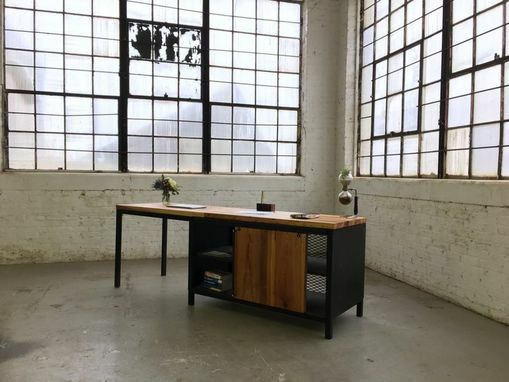 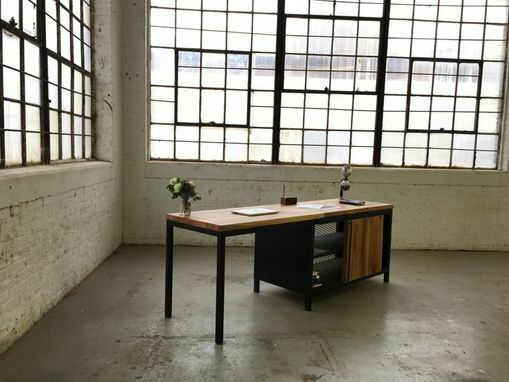 An industrially inspired work desk with a convenient storage cabinet featuring a sliding door. 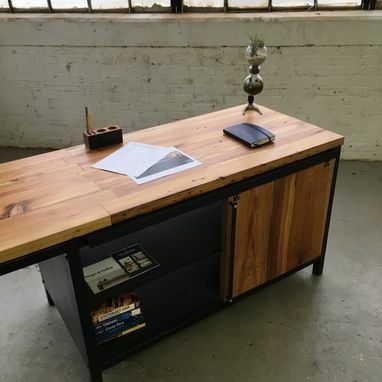 This piece is built with a solid wooden top and cabinet door and mild steel the framing. 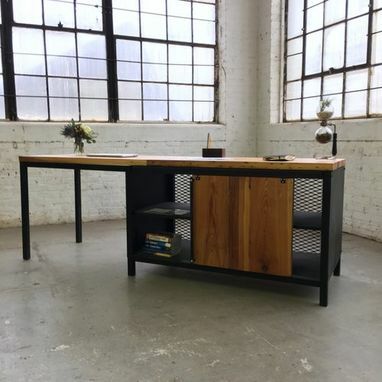 The item pictured is made with reclaimed southern long leaf pine but can be made with any preference of wood as well as steel finish. 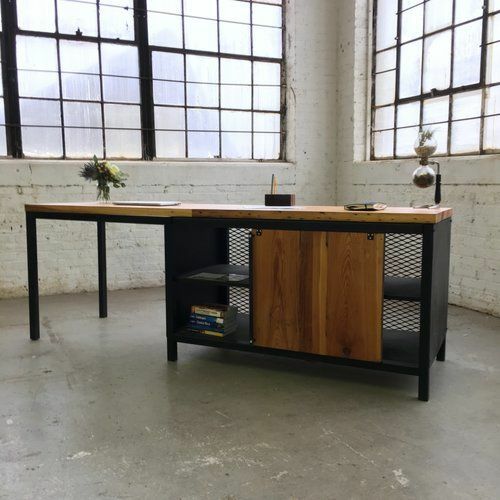 -Cabinet Dimensions: 25" x 36" x 26". 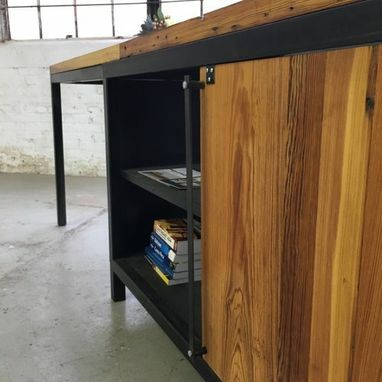 (inner shelf height can be made custom but is defaulted to center of compartment otherwise.